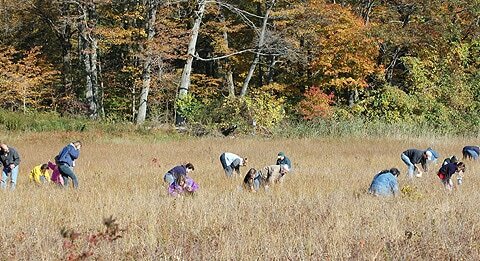 Our Land Trust is proud to have two cranberry bogs in preservation. ​In January 2001, the KLCT purchased the Pond Meadow Natural Area, AKA the Cranberry Bog. Through the generosity of our townspeople, agencies, clubs, government, and other outside organizations and individuals, we not only raised the money to purchase the bog, but have created an endowment fund for its upkeep and a buffer fund to purchase the surrounding open space should it become available. We started with 19 acres and it's now up to 42. The Pond Meadow Natural Area Committee was formed to restore and maintain the habitat and to facilitate the use of the area for research and public programs. While to protect the rare plants we have had to make it off limits to individuals, regular guided tours are offered, along with our annual autumn cranberry harvest for our members and residents. History: Many thousands of years ago, the geological area known as the Killingworth Dome was formed. Within this area's many depressions, melting glaciers, streams and rivers gave rise to vernal pools, fresh water marshes and red maple swamps. One such swamp contained a peat bog. This bog took up about two or three acres, and the tannins and acids released by decomposing peat moss, or sphagnum, within the bog created a bacteria-free, nitrogen-poor environment, one that could only be utilized by a select group of plants. Somehow, those plants found their way to this habitat, their seeds perhaps left behind by the receding glacier, or delivered by the wind. Enter the settlers, who cleared the area around the bog to create a mill pond. A dam was built to hold the water. The mill, remnants of which are still in existence, was located a few hundred yards downstream from the outlet. The surrounding soil was sandy, creating the perfect medium to allow the expansion of the bog plants into this now open and wet environment. Periodic flooding and draining of the land alternated the habitat between pond and meadow. Thus, the forty acre area came to be named Pond Meadow. The road that goes through it is called Pond Meadow Road, and the brook draining the area is Pond Meadow Brook. The area's full name now is the "Pond Meadow Natural Area". At the turn of the century, another important change in the land occurred. Cyrus D. Evarts and his family, who had purchased Pond Meadow, removed the swamp "muck" down to the level of the underlying sand. They ditched the area to keep the water table below surface and planted cranberries. A section of it has been a cranberry farm ever since, still worked by the Evarts family on the adjacent parcel, who keep their Killingworth Cranberries on the market! The practice of flooding and draining the area, along with keeping down the encroaching red maples, has created a sanctuary for some of the rarest plants in our state. One plant is found at only one other site and represents the only plant of this family found in Connecticut. Another, an orchid, is even more rare! In addition to the endangered plants, a State listed bird nests along the edge and at least two rare butterflies have been consistently found flying over the meadow in the summer. ​The Paper Mill Rd. site is a former gravel pit that was donated to the KLCT by the town of Killingworth in 2004 after former owners excavated gravel from the site. 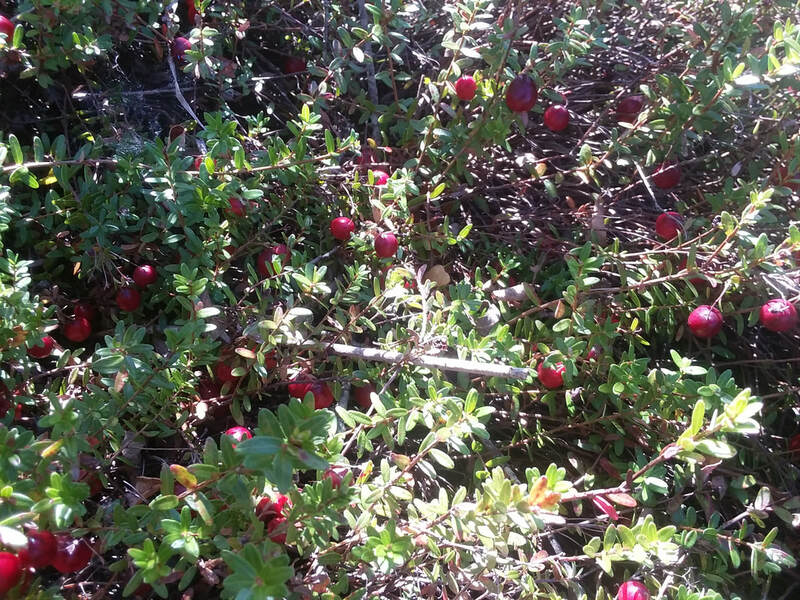 In 2001, surplus berries from the Pond Meadow Road bog were cast around the gravel pit, where a few cranberries had been found – and now they are thriving. On November 22, 2003, we tried something a bit unique for a land trust. We organized a prescribed burn for sections of the Pond Meadow bog. This was pulled together by Dave Gumbart (land trust director and PMNA Committee member). On hand were volunteers from the Killingworth Fire Department (Fred Dudek - chief - and Al Chapman), the Killingworth Junior Fire Department, Emery Gluck (the "burn boss", and a volunteer firefighter with the Town of Lebanon), Richard Albrecht (our town's Open Burning Official), and directors from the KLCT (Bruce Dodson, Robert Broach, Andy Annino, John Himmelman). In addition to Emery, who ran the show, Dave and Andy had participated in burns before. Why burn the bog? Well, part of our job as stewards of this area is to keep down the growth of woody vegetation and invasive plants that compete with the bog plants that make this habitat special. In the past we have done this by mowing and hand-weeding. A controlled burn could achieve the same results, possibly better, with less effort. We chose three test areas to burn so we could see the impact this measure of maintenance would have. From the onset, our biggest concern lay more in the scenario of the bog not burning than in the fire getting out of control. However, we were more than well covered to prevent the latter. The day was sunny and dry, and we were optimistic. But as it turned out, most of the area did not burn as vigorously as we had hoped. The test area with the highest concentration of orchids did burn fairly well and we marked it off to gauge the effect next spring. Thank you to all you volunteers who gave up a valuable Saturday in your busy schedules. And especially to Dave Gumbart, who got the ball rolling and Emery Gluck, who provided his vast knowledge of prescribed burns. Postscript: As of Autumn 2004, the plants in the test area did no worse than those in the surrounding areas. The orchids and other rare plants did very well this year. The decision to burn or not to burn will now be a matter of our own convenience, since we do not need to be concerned about negative effects on the flora should we go this route.